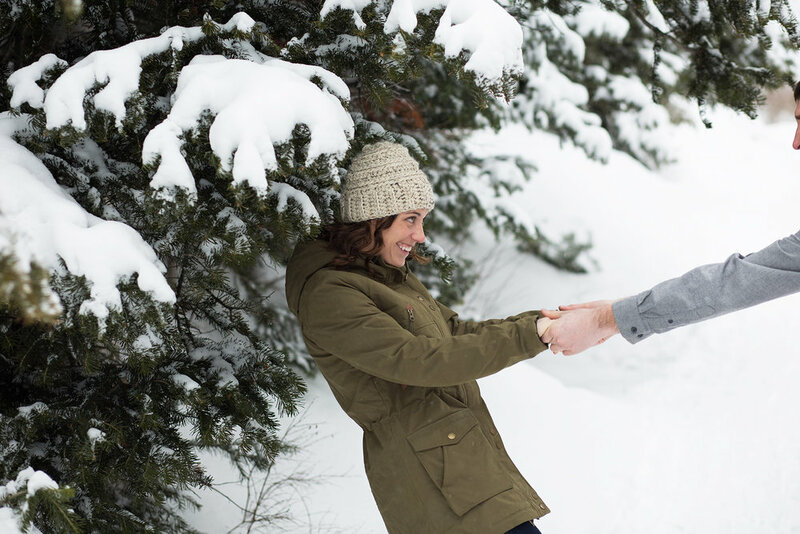 I get to do so many fun things with my clients! 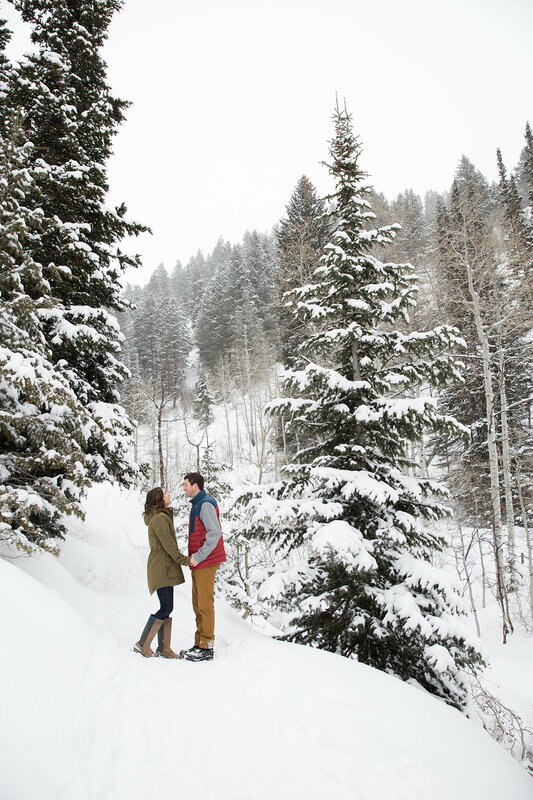 For Kyle & Erin's snowy engagement session, we threw on our snowshoes, to tromp through the snow, in Big Cottonwood Canyon. That was a first for me. 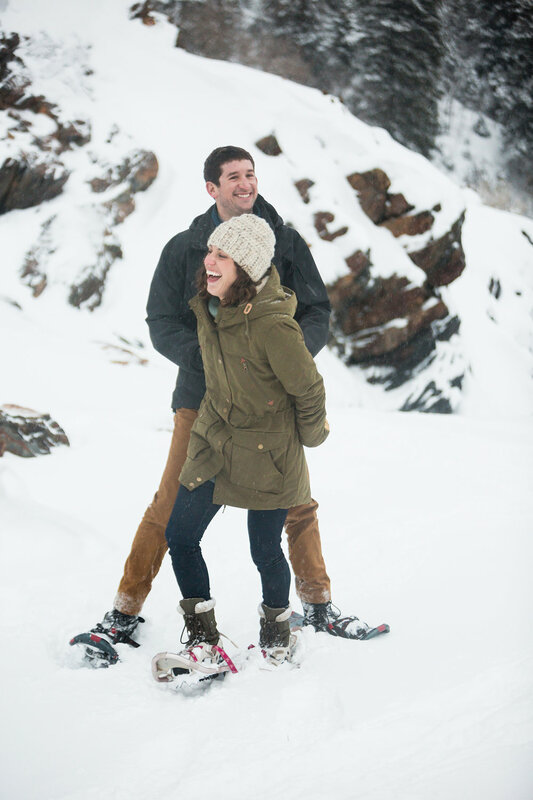 Kyle and Erin decided to jump off of some boulders and get themselves all covered in snow, at the end of the session. It was a blast!